Every mum knows the importance of protecting children from over exposure to the sun and even on a cloudy day, the delicate skin of young children is still exposed to potential harmful and damaging UV rays. Just one blistering sunburn in childhood can double your little one's lifetime risk of melanoma, the deadliest form of skin cancer. 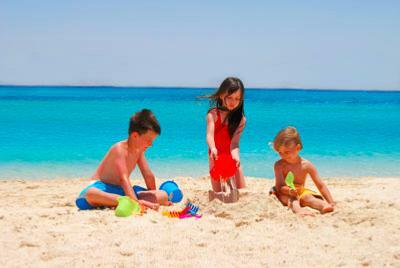 Young, sensitive skin is especially vulnerable, so protect your child by being sun-care savvy. Up to 80 percent of UV rays penetrate clouds and reflect off sand, water, snow, and even concrete. Kids actually may be more exposed to UV rays on cool days because they stay outside longer so basic sun protection tips -- clothing that covers arms and legs, wide-brimmed hat, sunglasses, and sunscreen -- still apply.There are hundreds of different suncare products on the UK market so which one is right for your child? Well, the best sunscreen is the one your child agrees to wear, and this is what makes Techniblock so popular amongst parents. Offering clear, non-greasy, non-sticky 5* protection that blocks both UVA and UVB, the lightweight spray is quick and easy to apply and very long lasting. Apply before school and your child will be protected all day long. There’s no need for the teaching staff to get involved and, as a parent, you don’t have to rely on someone else making sure your child is adequately protected. A single application of Techniblock SPF50+ for KIDS will provide very high protection for up to 6 hours, which is great for on-the-go toddlers and primary school children. Techniblock is extremely water and sweat resistant and dries almost instantly to form a transparent UV barrier that’s very comfortable and cooling. And if your child has very sensitive skin, the absence of oils and perfumes in Techniblock allows the skin to breathe, thus preventing or reducing the symptoms of prickly heat. Developed in South Africa, where they certainly know a thing or two about the sun, Techniblock is endorsed by CANSA as a preventative measure against skin cancer. Find it exclusively online here and take the fuss out of looking after your family this summer.